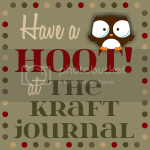 Tracy here and it's my turn again to do a tutorial for The Kraft Journal. 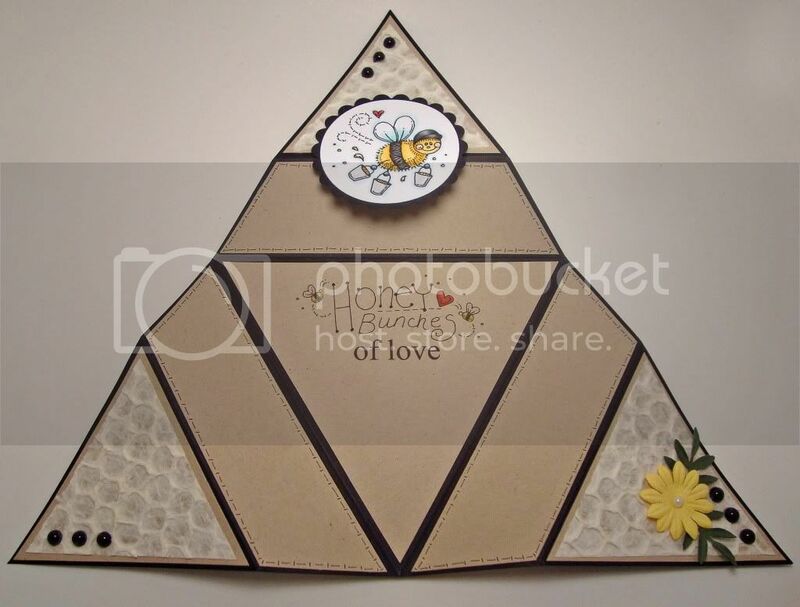 Since our challenge this week is "Fun Shapes", I decided to show you how to make one of these fun Triangle Star cards. 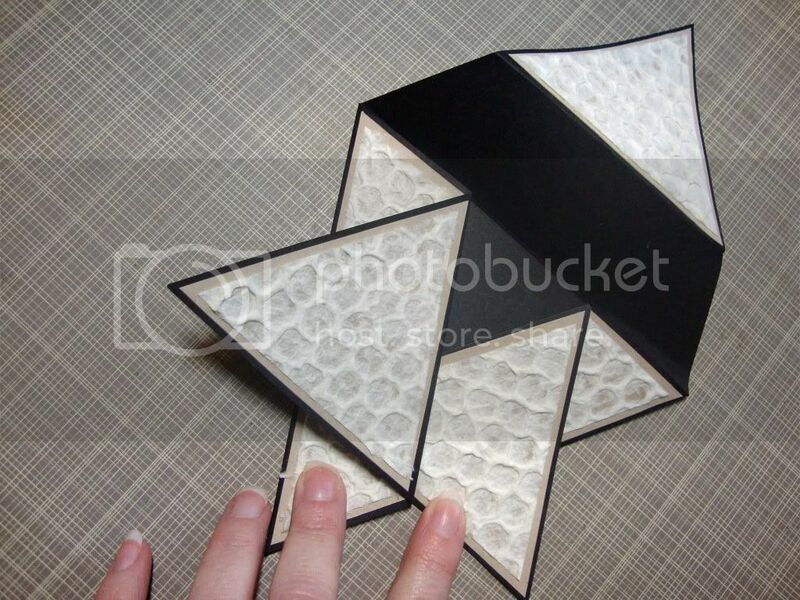 You can check out this link for the tutorial that I learned this card fold from. Isn't that honeycomb paper fun! It's mulberry paper that I found at Hobby Lobby a while back when I was thinking of doing another bee inspired project. 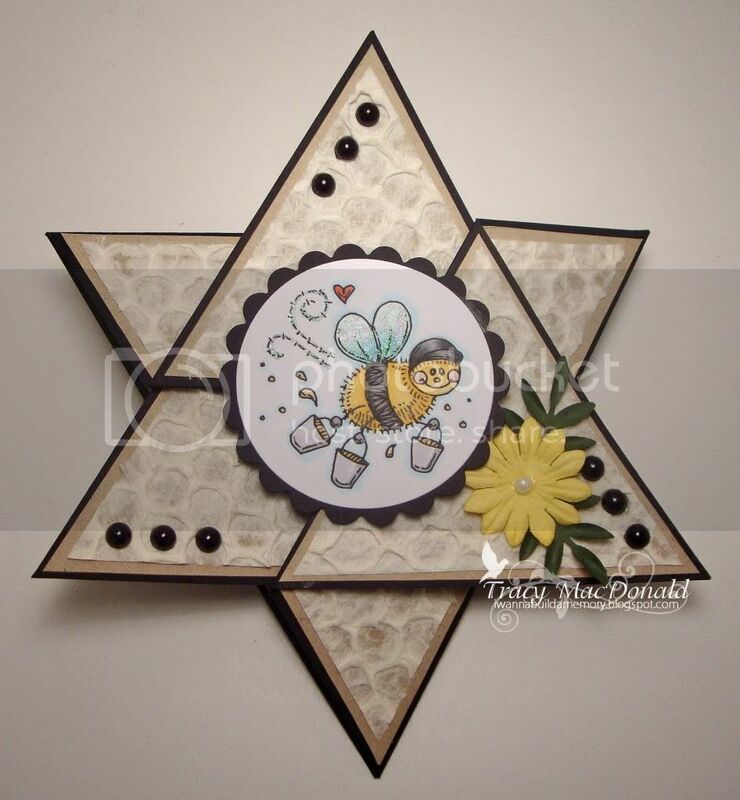 The cute little bee is from Meljen's Designs. So let's get started. 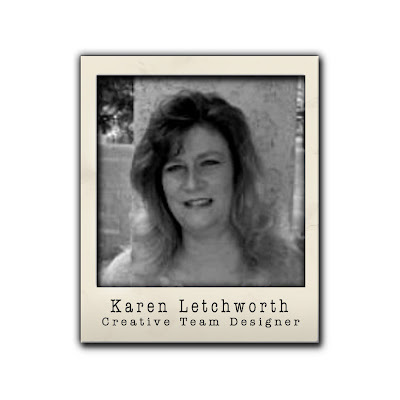 You'll need one sheet of 12 x 12 cardstock. I've used a cream sheet for my instructions to make things easier to see. You will first find the center of your sheet on one side. Move your ruler down a couple of inches and find the center again. Draw a light pencil line between the two marks. Next use your ruler and starting at the bottom corner, mark a light pencil line from the corner to where the 12" mark of the ruler hits your first drawn line. Do this on both sides and try to be as precise as possible. Another reason I changed to the black paper for my project is because the cream sheet was not a true 12 x 12 measurement. The black was a tiny bit larger so I trimmed it. Check your paper. It can make a difference. All three sides of your triangle should measure 12 inches. 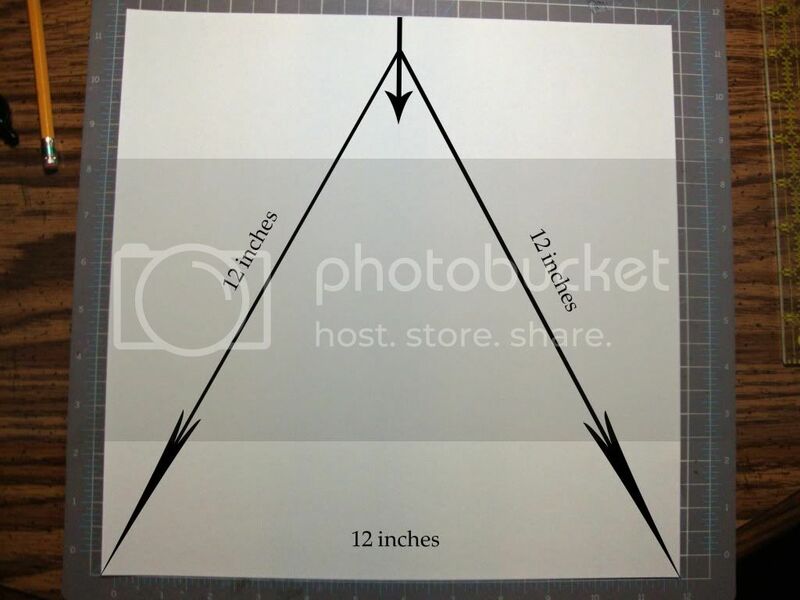 Use your ruler to cut the two sides of the triangle so that you have the piece shown below. 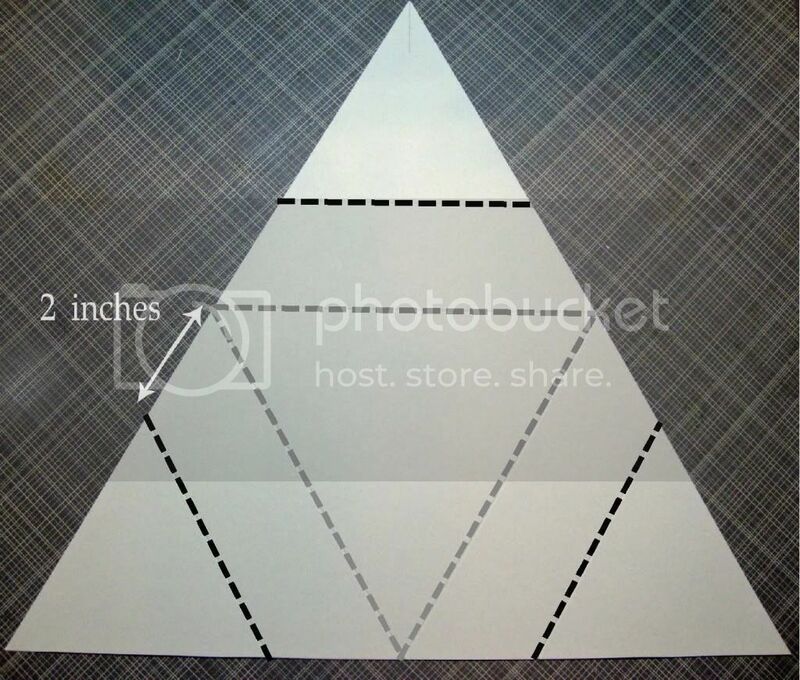 Once it's cut out grab your ruler again and mark each of the three sides at their center point. Using your scoring board, score between the marks as shown in the photo. You may have to adjust your paper a bit on the scoring board to get the lines straight. Once you have your first set of lines scored you will use your ruler to measure down 2 inches from your scoring points on all three sides as shown below. 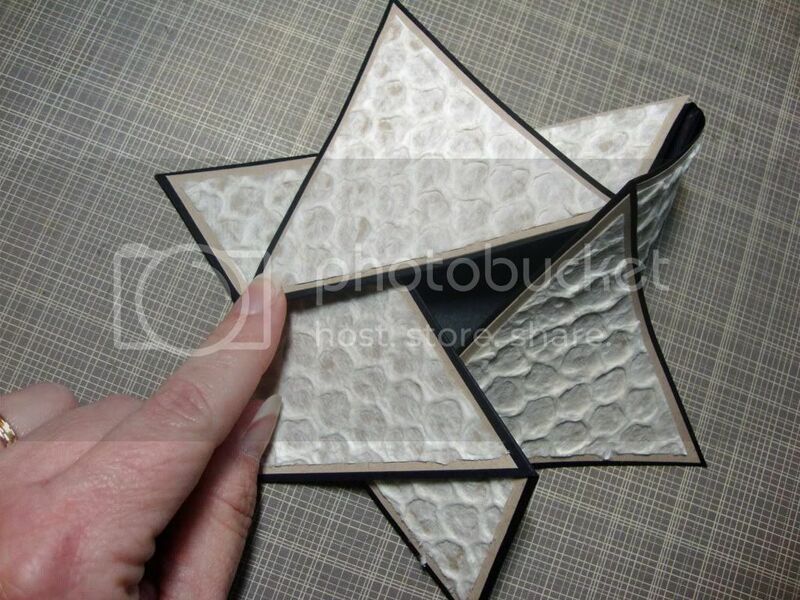 Here's how the piece will look when folded. The inner folds are valley folds and the outer are mountains. 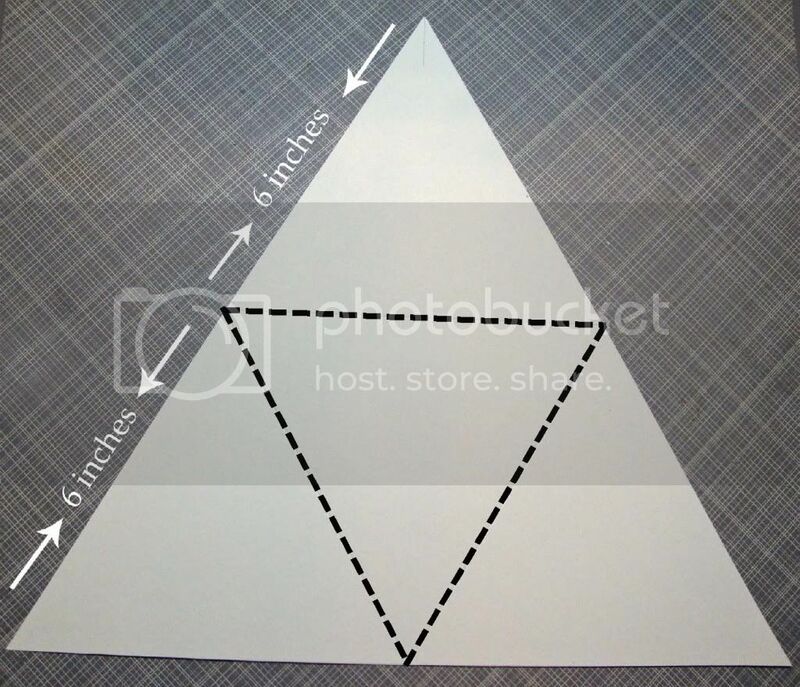 These next two photos show you how to fold this card up. When folded correctly, it holds itself closed. Fold the right hand side flap in first and then the left hand. For the last flap leave the left hand side on top,but pull the top corner of your very first folded piece out and tuck the right hand corner of the top piece under the flap. Your card is now closed. Since I used the bulky textured mulberry paper, my card doesn't lay as flat as it could with just another layer of decorative designer paper. Here's a peek at the inside of the card. The "Honey Bunches" is another Meljen's image. I added the "of love" with my computer. I did a little faux stitching with a pen to carry over the design on the bee image. 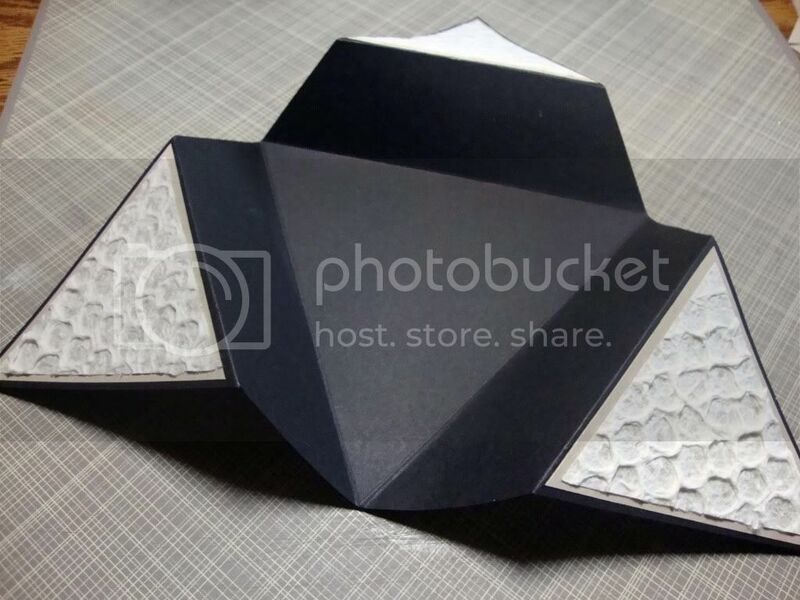 The mats are cut from Light Kraft cardstock. My absolute favorite! I hope you'll give this fold a try. It's not hard at all, but it really does help to be as precise as possible with your measurements. 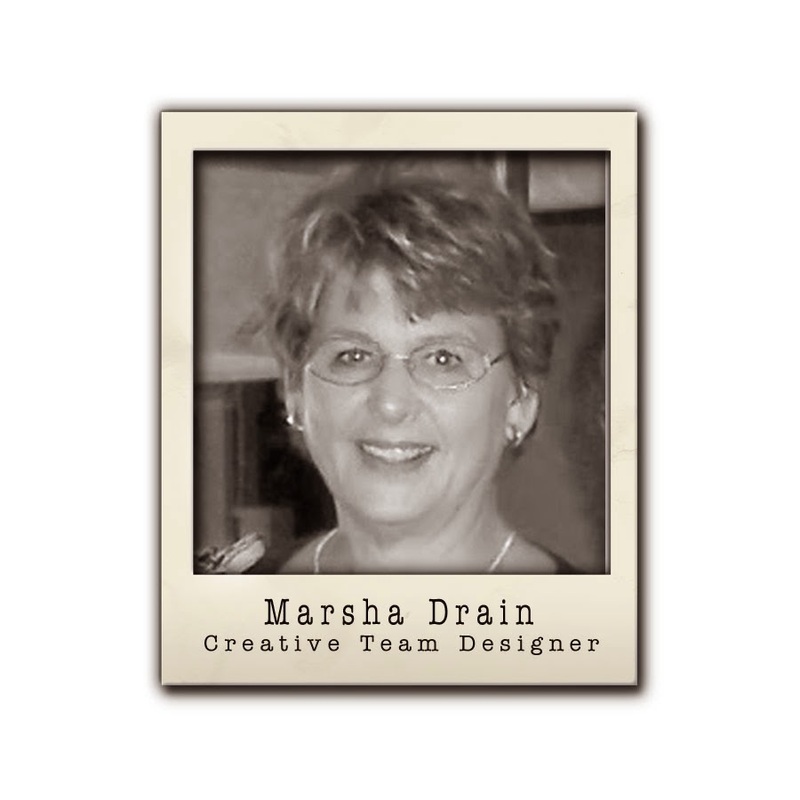 Hope you like the card and hope to see your entry in this week's challenge. You can find the challenge information and link up your project by following the Current Challenge link located in the upper right hand of our sidebar. Fabulous card, thank you for this tutorial, will definitely try this!! Very clever, I'm definately going to give this a try. Thanks for the tutorial! thanks a lot for this tutorial ! I love it ! How fun! I've never seen one of these card. 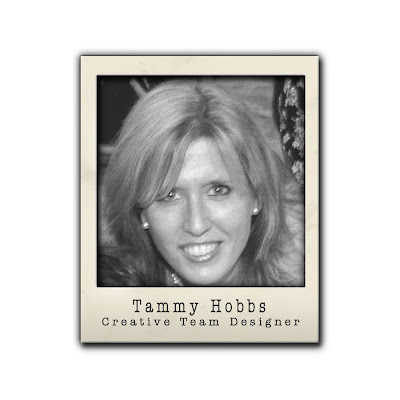 The honeycomb paper is perfect with your stamped image/sentiment. Very cute! Thanks alot for the tutorial on this cute card will have to try it. I'm a late comer but I got here none the less. I have made two and they do not lay flat. I don't have super heavy card stock. A bit disappointing... but I'll try again. I finally figured out MY mistake. I was measure 2 inches from the score line. Not like you said "Once you have your first set of lines scored you will use your ruler to measure down 2 inches from your scoring points on all three sides as shown below." Score POINTS! THANKS! Just saw your tutorial and think this will make a great card for friends at Hannukah. Great fold. This will make a great 4th of July card with red white and blue. Thanks for the instructions.